In this stock photo, signage is displayed outside a Pizza Hut restaurant, in Torrance, California, U.S., on Monday, Oct. 7, 2013. Pizza Hut is letting customers play mad scientist, giving them the freedom to make pies with honey Sriracha sauce or add curry flavor to the crusts. Pizza Hut is letting customers play mad scientist, giving them the freedom to make pies with honey Sriracha sauce or add curry flavor to the crusts. The atypical flavors and new ingredients are part of a menu overhaul set to be announced Monday and hit stores Nov. 19. Executives are hoping the revamp — which includes an updated logo and more relaxed uniforms for workers — will be the trick that finally jumpstarts sales. 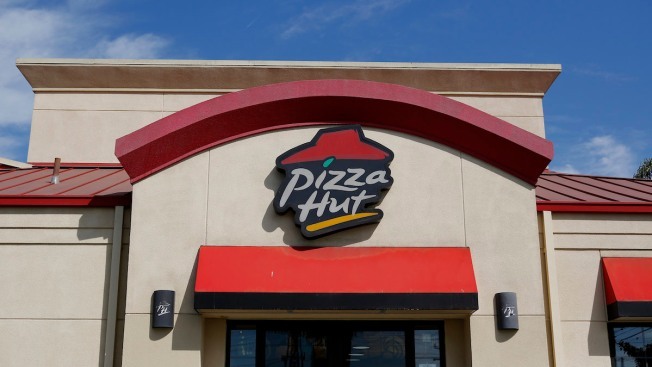 Even as rivals Domino's and Papa John's have enjoyed growth, Pizza Hut has reported sales declines for eight straight quarters at established locations. To regain its footing, Pizza Hut is turning to a growing trend in the industry — giving people greater flexibility to tailor orders exactly to their tastes.